Is it really true that most Lithuanian citizens support Prime Minister Saulius Skvernelis' position that Lithuania should renew political contacts with Russia? A survey that indicated support for his stance revealed that there was 52% support. However, this was not the only investigation. Data from a similar survey differs quite significantly. Delfi has already announced that a market research company RAIT survey commissioned by BNS on January 13-29 has revealed what should have emboldened PM Skvernelis. According to the survey, 52% of respondents agreed that Lithuania must renew political contact with Russia, while 26% disagreed and another 22% did not have an opinion. A total of 1053 Lithuanian residents aged 15-74 were interviewed. Retirees, middle-income residents, statistically more often support renewed political relations with Russia while individuals with higher education and higher income usually are against. At the start of January S. Skvernelis stated that Lithuania is the only EU member state, which does not maintain any working contacts with Russia at the political level. According to him, bilateral dialogue is necessary for effective policy. "Russia is a difficult neighbour. However, communications channels are needed for effective policy. In essence, there currently are none. We say that they should be created. Bilateral dialogue must proceed," the PM stated. That said, after criticism for his statement, S. Skvernelis turned to emphasise that contacts with Russian politicians must not be interpreted as a review of relations, Lithuania must continue supporting sanctions against Moscow and firmly supporting Ukraine. Nevertheless, according to them, Moscow may interpret S. Skvernelis' words as a signal that Lithuania's position may change on strategic questions. However, what is interesting is that almost at the same time – January 13-21 – another survey was held. At the commission of the Homeland Union – Lithuanian Christian Democrat party the research company Vilmorus interviewed 1004 Lithuanian residents. That said, head of Vilmorus Vladas Gaidys admitted that in this case the question was formulated somewhat differently. If the RAIT survey asked in abstraction, whether the respondent agrees with S. Skvernelis that political contacts must be renewed, the Vilmorus survey has a more specific question. "I recall a case where the question was asked whether the respondent agrees to sending Lithuanian troops to hot spots, while another survey featured a different formulation – whether they agree with the participation of Lithuanian troops in peacekeeping operations. The results differed, so it is in this case, when the question has an encoded condition, raising a certain sense of insecurity," V. Gaidys said. "Should Lithuania develop closer relations with Russia even if it would harm Lithuanian security?" this question was answered positively by a little more than a third of respondents, 34.4%. A minor majority – 37.8% were against such a position, 22.8% had no opinion, another 5% did not answer the question. The number of those agreeing with such a statement was greater in provincial cities (40.2%), however not in rural areas (31.8%). It is curious that surveyed Vilnius residents wanted closer relations with Russia despite harm to national security more than those of other major cities - 38.6% in Vilnius versus 28.3% in Kaunas, Klaipėda, Šiauliai and Panevėžys. The statement received more support from older residents, particularly retirees and citizens earning less than 351 euro per month. That said the support did not exceed 50% in any category and the number of those disagreeing with closer relations with Russia if it harms Lithuanian security was mostly in major Lithuanian cities, among individuals with higher education and higher incomes. The statement was most negatively received by youth – students, schoolchildren (46.9%)m specialists (45.7%) and even the unemployed (46.3%). The distribution by political affiliations is most striking. Among TS-LKD voters, 61.7% of respondents were against the survey question, with Liberal voters thinking similarly (56.1% against). Meanwhile a solid percentage of support for relations with Russia can be observed among Social Democrat (54.8%), Farmer Greens (42.6%) and Labour Party (60.7%) voters. Most notable for favouring relations with Russia despite harm to Lithuanian national security were the voters of the Electoral Action of Poles in Lithuania – Christian Families Union, with 72.7% support for the survey question. Nevertheless even the overall number of respondents voting in favour remains high, according to V. Gaidys, reaching 34.4%. Leader of TS-LKD Gabrielius Landsbergis also agrees. "This number is concerning, but we mustn't forget that there are no other relations with Russia. Only those that make the security circumstances worse. I believe that the state officials who manipulate people's moods without explaining it are acting irresponsibly. People need to be clearly told what we risk if we attempt to undermine national security interests in the name of making friends with Russia," G. Landsbergis emphasised. Political scientist Tomas Janeliūnas believes that even if the Vilmorus survey adds the condition that it would harm Lithuanian national security and the results differ, it is clear that there are still many who support cooperation with Lithuania's aggressive neighbour. "There is a large number of those who, despite the security risk, would rather have closer relations. When the questions of "cooperation" and "security" are not obviously linked, I believe a large number of people don't even consider it. 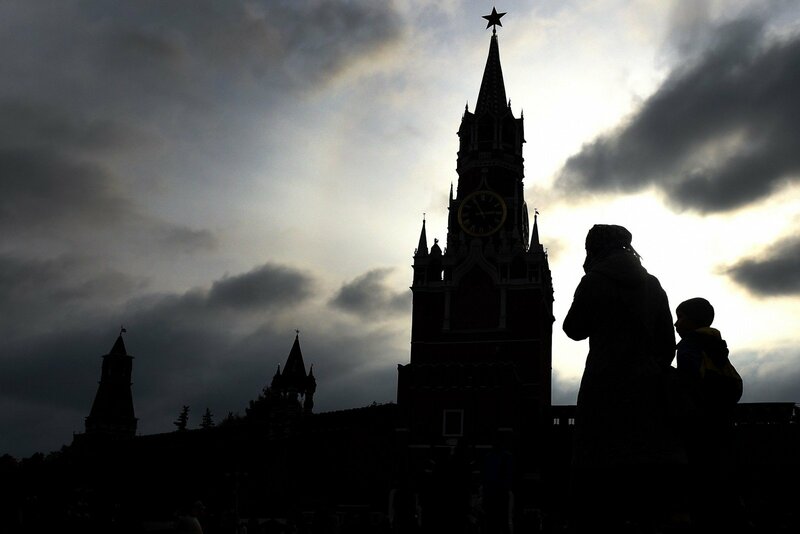 It could still be possible – due to naivety or simple disinterest – that it would be possible to communicate with Russia as any other country in the world, with no threat to our security, economy and political freedom. But Russia always links cooperation with conditions which no other state would raise," T. Janeliūnas said. According to him, if the survey takers read the questions in detail, they have to inevitably choose between such possibilities as the supposed benefit of cooperating with Russia or security. "The RAIT survey did not contain a priority choice. This leaves the individual to imagine based on their own awareness, what such "political contacts" would mean," the political scientist says.